I didn't want to speak to soon but I am loving this wintery weather, it is usually around January when you truly see winter for its true colours. One thing that I love is how cosy you are, you wear the warmest clothes or try and make yourself warm. I am embracing the chill, the layers and throwing on a scarf and hat. The only thing I dislike about wearing gloves is having to touch yoir phone, it doesn't work and I always end up a cold hand when I take my gloves off. With winter in mind, this got me thinking I really need to start layering up now as it starting to feel very bitter and I really do not like being cold. 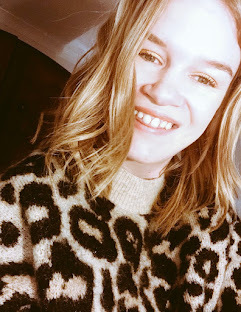 So last weekend I went shopping with my mum and sister to Leeds, you may say another trip to Leeds however this was NOT to get our nails done, I promise you that. It was to spend mine and my sisters Christmas money. The only shop we wanted to go in was &OtherStories as there isn't one in York and we are obsessed with their clothes, well I am. I honestly could buy every single item in there if I won the lottery.. So, we both spend a reasonable amount of time in stories and both had a few different pieces we wanted to try. There was a couple of items I wasn't too keen on. 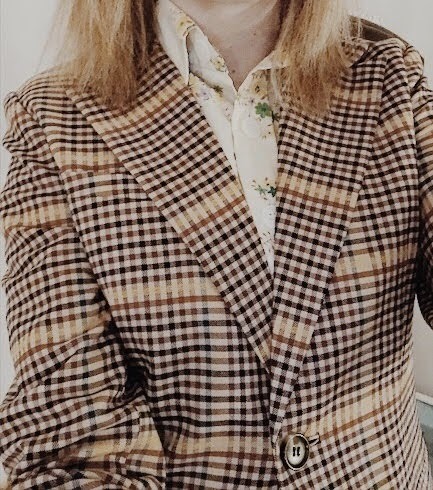 I was lucky enough to find the perfect shirt and blazer.. Oh I know what you are thinking.. ANOTHER SHIRT, yes I cannot help myself. I love shirts and always looking for another one. You see the thing is, I wear them all the time until I get bored and then move on to something else. Anyway I came across a really unique one which I adore. So the shirt, isn't too everyones choice but it feels perfectly and when I tried it on I knew I needed it. It's a button up lounge shirt with the most amazing shine to it with stripes, a printed collar and dropped shoulder seems. I mean what more do you want in a shirt? 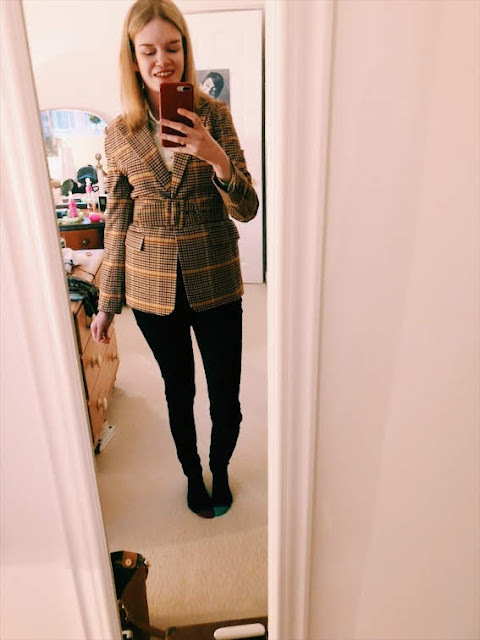 I also found myself the perfect blazer, something I had been searching for a long time and I was lucky enough to find in the stories sale, it is a long straight fit blazer and I want to wear it now! !